Rex Tillerson, the former CEO of oil giant Exxon Mobil Corporation (NYSE: XOM) and President-elect Donald Trump's pick for secretary of state, is worth as much as $400 million, according to a Bloomberg report citing a public disclosure filed with the U.S. Office of Government Ethics on Wednesday. 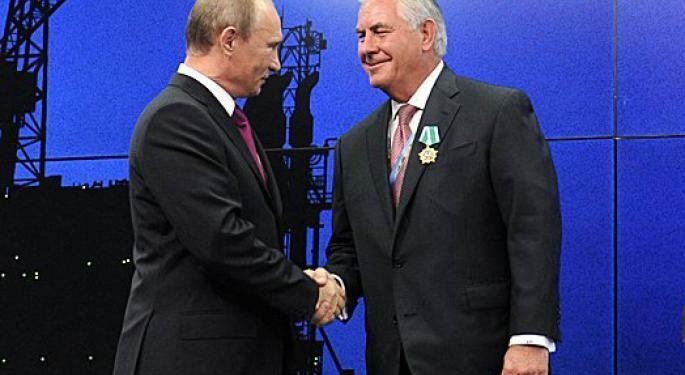 Naturally, the majority of Tillerson's holdings is in Exxon's stock, but he also holds shares in the company's biggest rivals, including Royal Dutch Shell plc (ADR) (NYSE: RDS.A) (NTYSE: RDS.B), Total SA (ADR) (NYSE: TOT) and Chevron Corporation (NYSE: CVX). Absent from his portfolio of oil stocks is BP plc (ADR) (NYSE: BP), although this may be expected since Tillerson openly criticized the oil company after the 2010 Deepwater Horizon incident in the Gulf of Mexico. 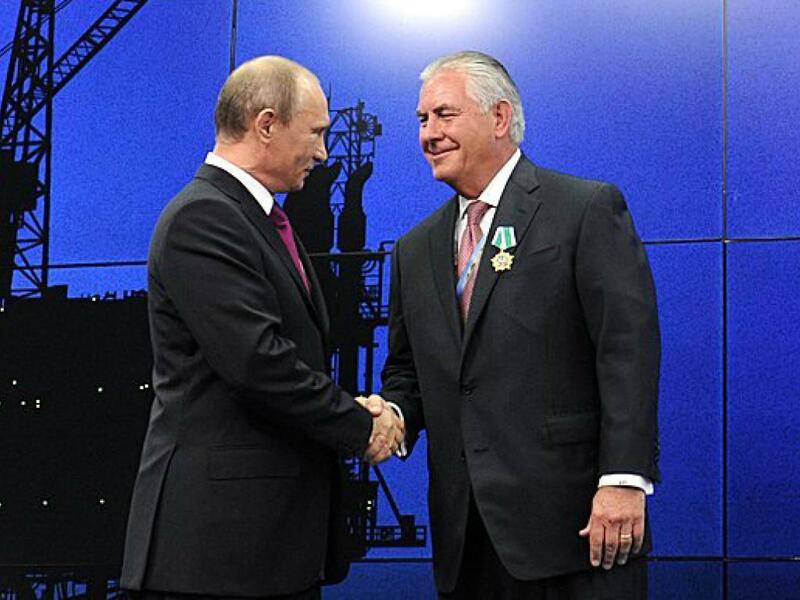 Tillerson's other energy-related companies included in his portfolio are the oil refiner Phillips 66 (NYSE: PSX), the oil services provider Schlumberger Limited. (NYSE: SLB), China-based Sinopec and the conglomerate giant General Electric Company (NYSE: GE). Outside of the energy sector, Tillerson's biggest holding is Apple Inc. (NASDAQ: AAPL). He also holds municipal bonds from relatively unknown towns in Texas such as Bastrop and Grapevine. According to some experts, Tillerson's portfolio is nothing out of the ordinary and shouldn't be of concern to investors. "If you are CEO of a large company, it is hard to hold a large investment portfolio without holding some suppliers or customers," Erik Gordon of the University of Michigan's Ross School of Business told Bloomberg. "You disclose the holdings to the board of directors and divest anything the board thinks is inappropriate."